any years ago, I went to Concannon Winery in Livermore, CA. 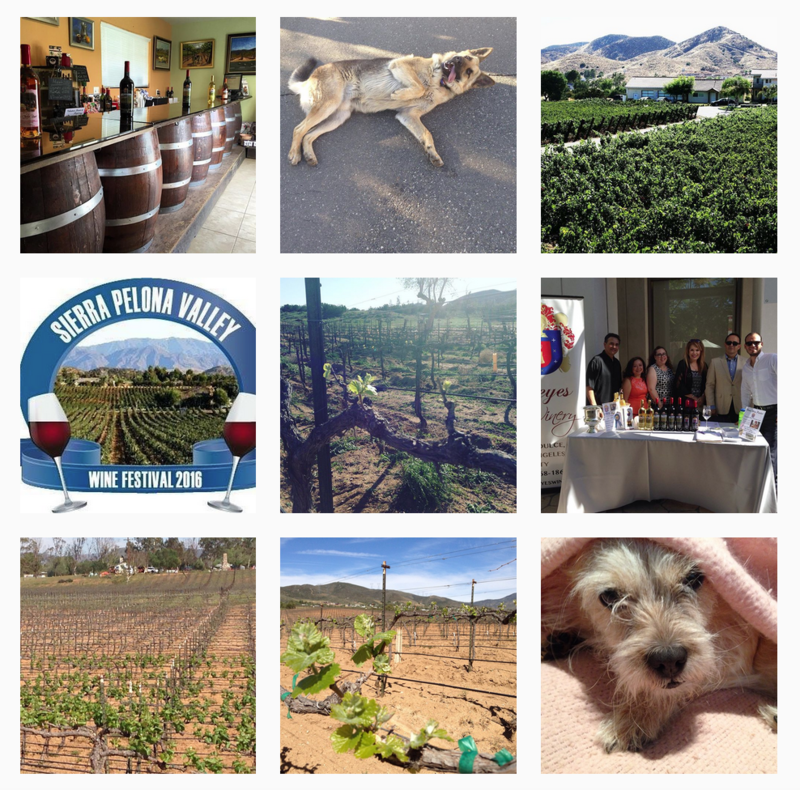 They are known for their Petite Sirah. My father knew Jim Concannon. I stayed up there for two weeks to learn more about wine. He taught me from Wine Tasting Etiquette to wine pairing. I enjoyed my trip so much; it is something I will never forget. I remember walking through a courtyard with him, asking him what do Petite Sirah grapes taste like compared to the actual wine. He reached up above up on an arbor filled with grapes, he was so tall, and grabbed a bunch of grapes and had me try some. They were sweet as sugar. Petite Sirah wine can taste like a baked blackberry pie. They introduced Americas first Petite Sirah in the 1960’s. They hired a woman winemaker in 1961, Katherine Vadja, which was also a first. Women were unheard of in the wine making world and even in all aspects, and still are! It has been an uphill battle for me. I was taught that there is never a right or wrong about a wine, as long as you enjoy it, it should be great. Many so-called “wine snobs” say sometimes, if a wine has won many awards or has been rated over 90 by certain people, that is a great wine. Those people who say that, it’s their opinion. Their palates are different than yours, so why should they say what you should like? They shouldn’t. You can take their advice, but don’t expect to think that every wine critic will share your palate. Their tastes might be that they only enjoy dry wines and not fruit forward or vice versa and you might not share their outlook. Wine is very subjective. If you like a wine, that’s all that matters. When going to a wine event or tasting, there really isn’t a dress code. Casual dress is okay, but I wouldn’t advise shoes that aren’t comfortable. Wear something that your feet are most happy when standing. Not wearing cologne or perfume is good because it allows your senses to obtain the most aromas. When wearing cologne, sometimes you pick up the floral notes from the cologne, instead of the wine and sometimes you can taste the perfume when it’s very strong. My nose is so sensitive; I sometimes feel I smell everything…good and bad! If you go with a party of 6 or more, reservations are a plus. See if the winery has tasting notes and prices available to you. 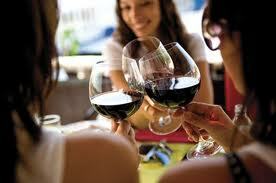 When a fee is charged, it is usually okay for two people to share one glass and pay only one tasting fee. 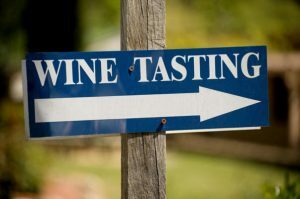 If there are many choices available, then you and your guest can get a tasting that is different, and you both can compare and taste more wines. 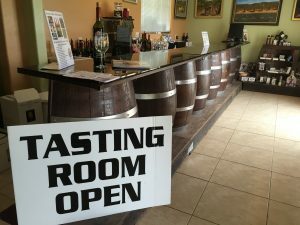 There is some tasting room etiquette, make sure and be polite to others and share the space together. Sometimes, the bar can get crowded and everybody needs to realize that when a new person or couple walks in, the wine bar server might ask to move over slightly to open up a space. Don’t feel offended if they do. Everybody is there to enjoy a memorable experience. Be sure and ask the server their opinion, but don’t expect their taste is the same as yours. Some say wine etiquette is important when going to a winery, but I feel as long as you are nice and don’t act entitled or act like you know more than you do, you will have a wonderful time. If there is something you don’t know, feel comfortable and ask the server. Something that isn’t a good idea is ask crazy question that you know can’t be answered to seem like you very knowledgeable, when you aren’t because you will come across arrogant and annoying and you probably will receive bad service. Just remember, wine is an acquired taste, and your love of wine will amplify the more you sample and realize its delicate complexities. When your glass has some sediment, never ask the server to rinse your glass with water. Always make sure they rinse with wine. Your wine will never taste the same if you have some water left in your glass. Paper towels are also good to pat dry the residual liquid. Wineries are limited by law to 1oz pours so don’t insist on more. 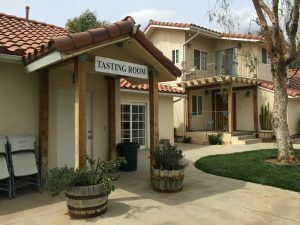 Don’t assume you can be served continually, because, if you appear that you have consumed too much, the tasting room staff is not allowed to serve you. You can ask for a second taste but it may be expected that you will be purchasing that wine. See you soon! ← Did you know Santa Clarita has Hard Cider?